Dear Readers! 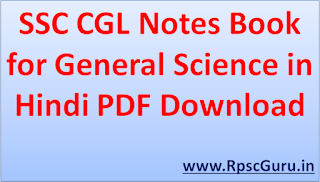 Today we are sharing very useful file for SSC CGL Notes. 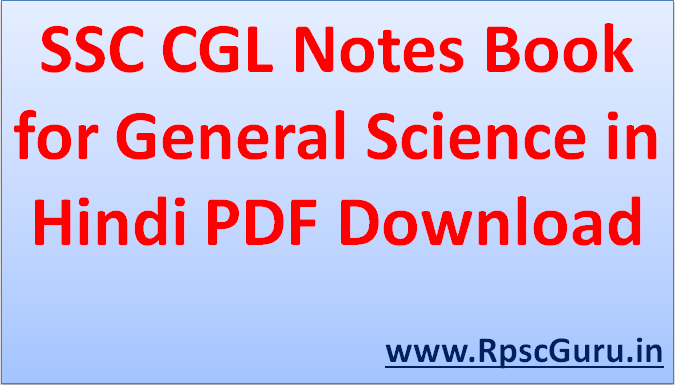 This files are covered complete General Science in Hindi Notes for SSC CGL PDF Download. All of questions are collected from various past examinations and other sources through online or offline mode. Keep touching this blog for get all latest study materials for upcoming exams. This is best and unique collection of general science notes for competitive exams PDF in Hindi. Dear Aspirants in the financial year 2017-18 their are many requiters are declare Recruitment Notifications for appoint vacant posts in government jobs like SSC, UPSC and state level PSC board so we are suggest to our readers that make very strong preparations to fight today's competitions level. This file are help to prepared General Science PDF free download.